Does IV Sedation Dentistry Work? How is IV Sedation Dentistry? Does it Work? Does IV sedation dentistry work? 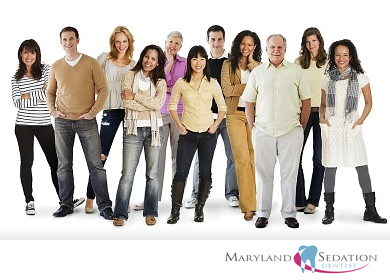 Who is a good candidate for sedation dentistry? Sedation and sleep dentistry is a great choice for people who have severe dental anxiety, long procedures planned, severe gag reflex, and difficulty getting numb. Sedation dentistry during your dental procedure means that you are relaxed and it feels like the appointment is very short. If you have severe dental anxiety issues or blood pressure issues it is much safer for our sleep dentist (Dr. Adams) to treat you in a relaxed state where we are monitoring you to keep you comfortable. While you still have all your reflexes with out the stress we find that anesthetic works much better and gagging is not a problem. When we are stressed, our body emits hormones which can make it difficult for the anesthetic to work well. When you are relaxed, as during sedation dentistry, the healing is quicker and overall you feel better at the end of your appointment. Absolutely. with the correct choice of dental sedatives it is possible to keep anyone calm and comfortable throughout even the most scary dental procedure. Give our office a call to schedule a sedation dentist consult. Oral Sedation vs IV Sedation Dentistry – which is better? Do You Feel Pain During IV Sedation Dentistry? Will Conscious Oral Sedation Dentistry Work for Dental Phobia?